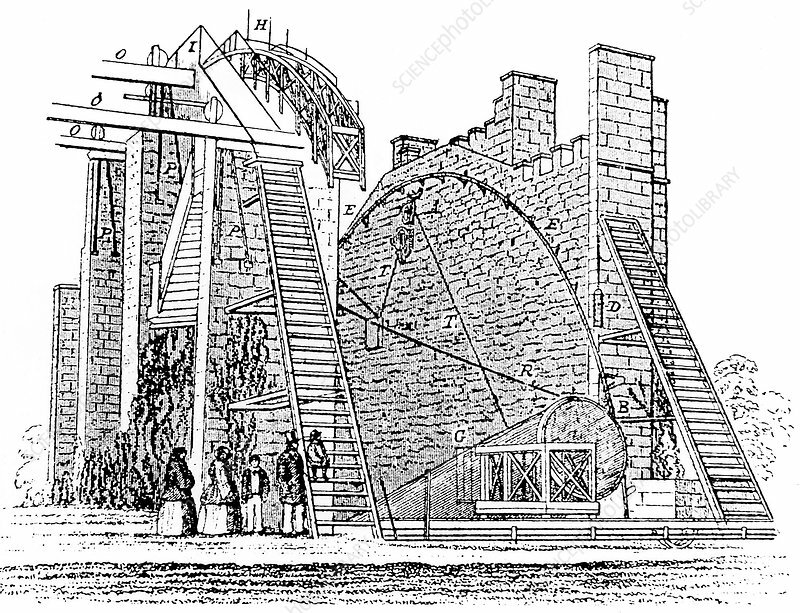 Lord Rosse's great 72-inch (1.828m) diameter reflecting telescope of 1845, called the Leviathan of Parsonstown. Mounted between two brick walls, it could move only in a north-south direction. The Earth's rotation provided movement in an east-west direction. From his paper 'On the Construction of Specula of Six-feet Aperture' in Philosophical Transactions of the Royal Society (London, 1849). William Parsons, 3rd Earl of Rosse (1800-1867).